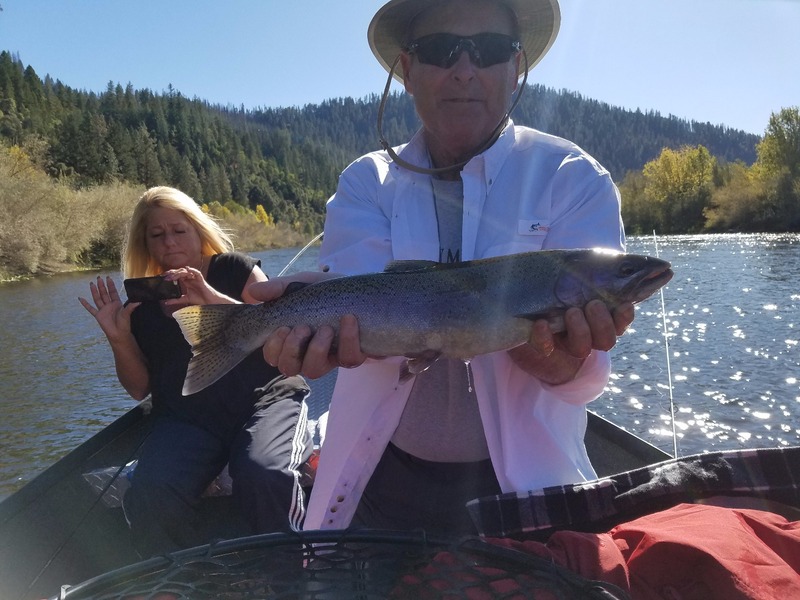 What a day of steelhead fishing we had today on the Klamath River. 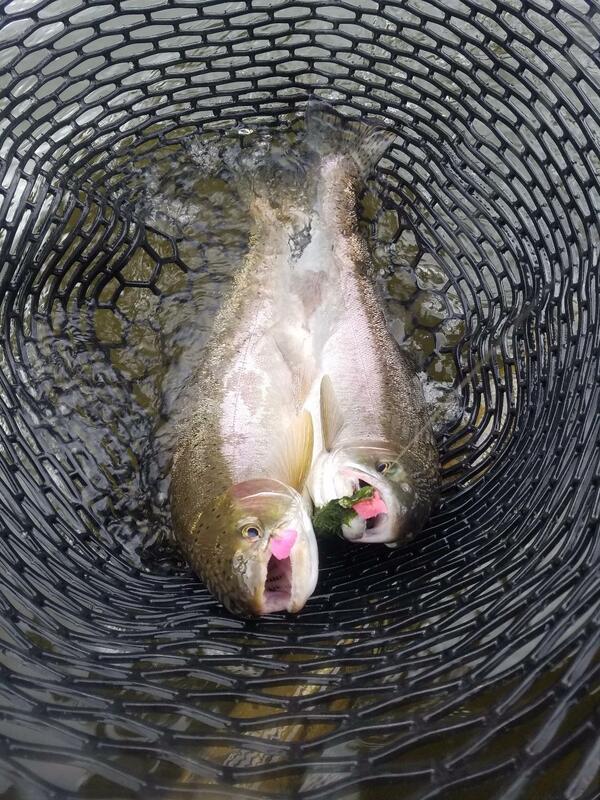 It was like you could cast in the weeds and still hook fish. The day started out with 6 fish coming out of the first hole and that's how our day went. The weather on the other hand was not very cooperative, it rained on us all day and at times we had bone chilling winds blowing in our face. 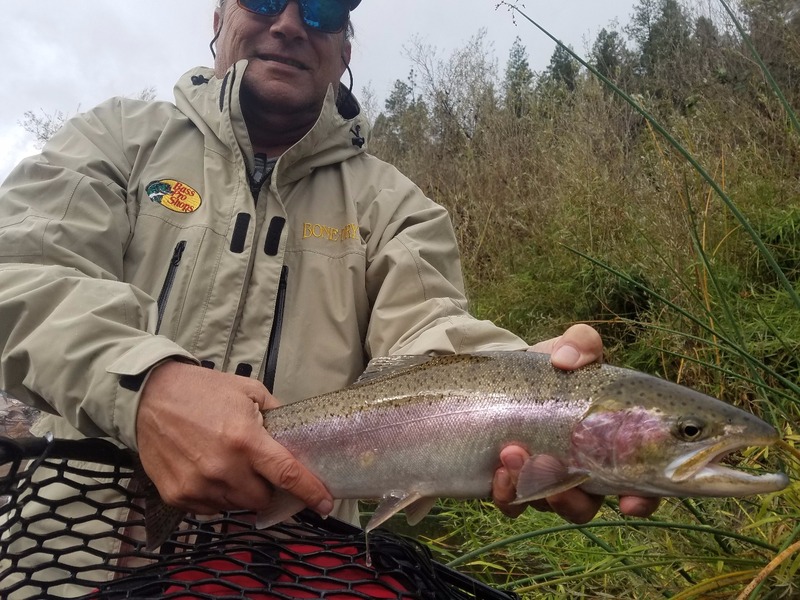 The rain didn't effect the bite until around 2 pm when the river started showing signs of the rise. 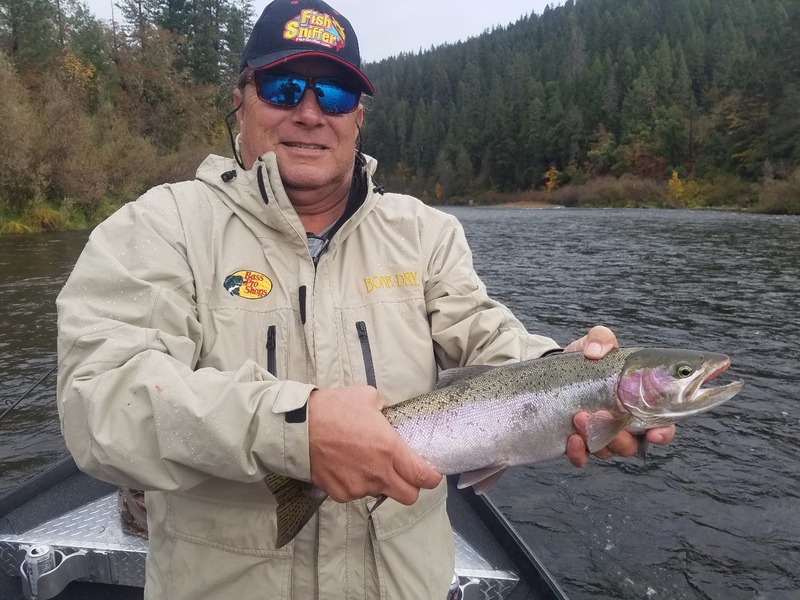 The fish are starting to spread out and hold in some of the typical steelhead water so dont pass up good looking slots and tailouts. 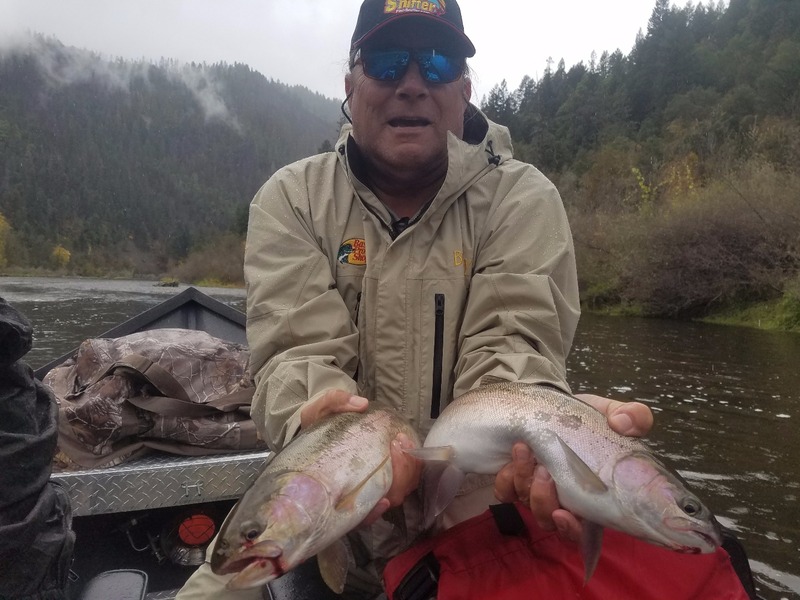 Some new fish decided to show up because the mouth of the Klamath River opened up so the spawning party picked up a little bit. 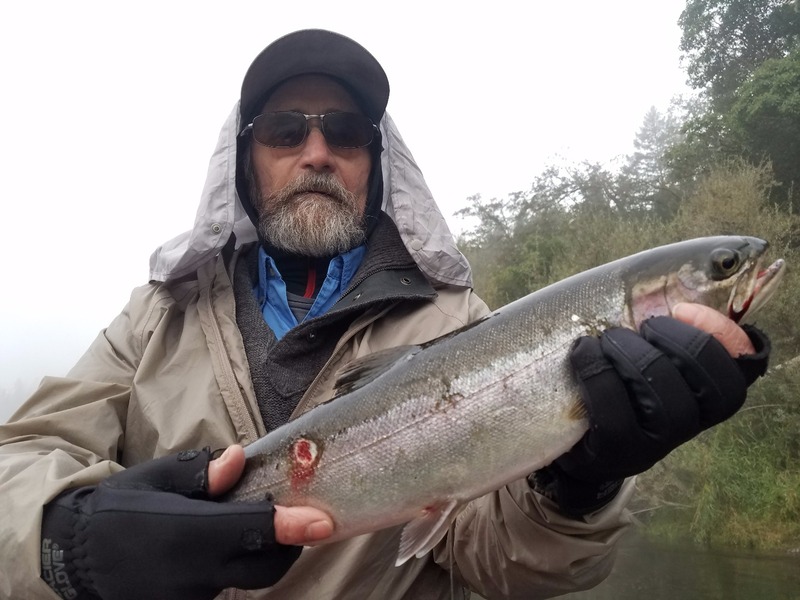 I have been fishing everyday for 3 weeks now and have only seen 2 other boats and the steelhead fishing is better than it has been if a few years. I have been scratching my head trying figure out what is going on. If you want to get away from the crowds and off the beaten path and freakin rip some lips get a hold me and BOOK NOW. 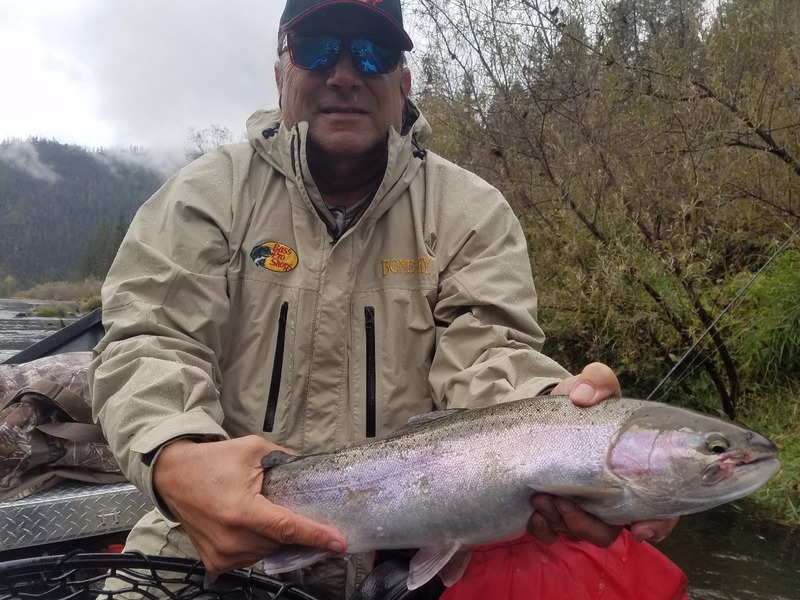 The steelhead fishing will be good through November.